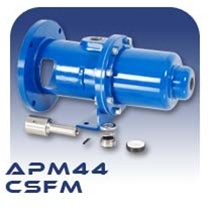 Progressivecavityparts.com is your solution for aftermarket replacement progressive cavity pump parts such as stators, rotors, seals and more for popular pump brands like Moyno, Tarby, Netzsch, Seepex, Continental and more. 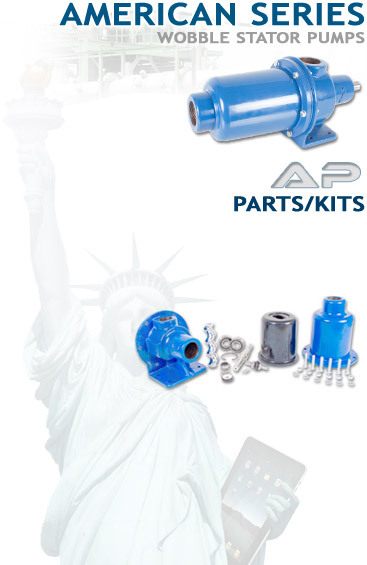 Welcome to Progressivecavityparts.com, a leader in replacement progressive cavity pump parts such as rotors, stators, seals, and more for popular OEM brands like Moyno®, Tarby®, Netzsch®, Continental®, Seepex® and Allweiler®. 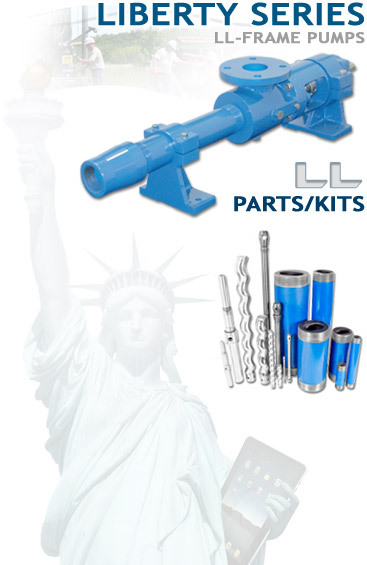 Progressivecavityparts.com also carries a full line if fully-assembled and ready-to-ship Progressive Cavity Pumps for immediate sale. 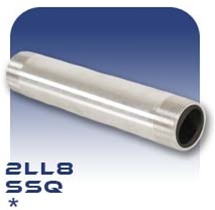 The advantages to the Progressive Cavity Pump design of a helical rotor and/or eccentric screw design alows for working in the most difficult pumping environments such as wastewater reclaimation, drilling and fracking, oil-transfer and sludge and biosolids pumping to to the low-shear solids-handling capabilities of this special pump. 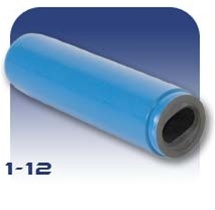 Liberty Process Equipment is a supplier of new progressive cavity pump stators in materials such as buna nitrile, natural rubber, EPDM, Viton® and more. 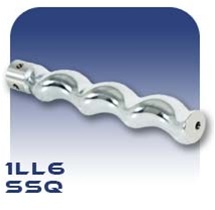 Progressive Cavity Pump Rotors in both standard and stainless steels with chrome and hard chrome finishes are available. Exotic rotor coverings such as Ductil are available. 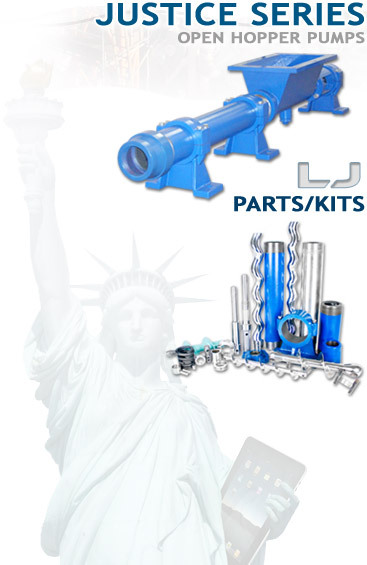 All Liberty pumps and parts come with a full money-back guarantee for your total satisfaction. 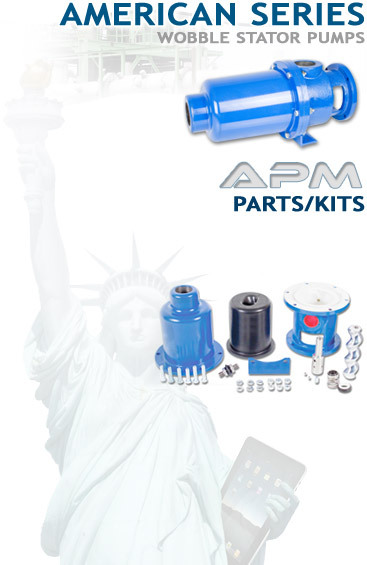 We offer same-day shipment of our pumps and pump parts in North America with our 24-Hour emergency service. Our goal is to meet your pump and part requirements and ensure you have little or no downtime. 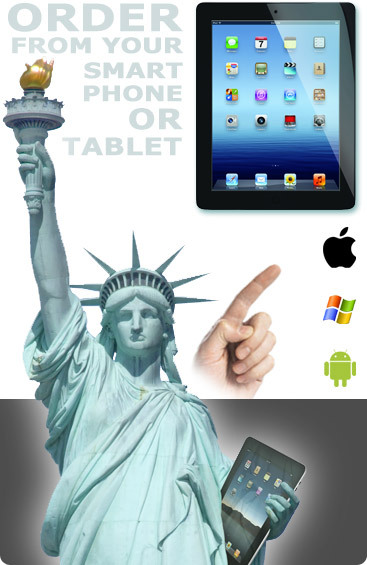 If you are outside North America, please feel free to contact us for assistance through Libertyprocess.com. Just call us at 847-640-PUMP (7867). We are ready to meet your needs. Mfr. Series PC Parts Brand Stocked? 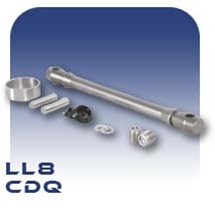 *All part numbers, product lines and/or descriptions are for reference purposes only. 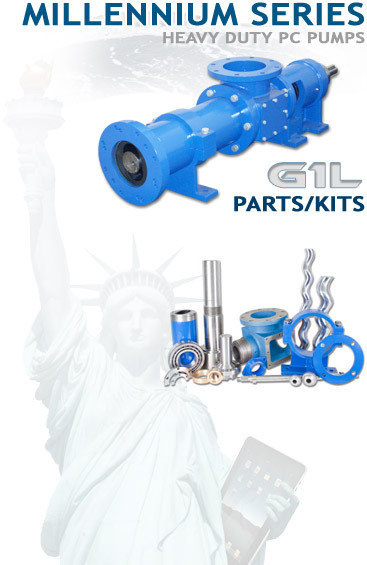 The Liberty Series of LL-Frame Pumps and Pump Parts is our most popular PC pump series for general to difficult pumping applications from 0 - 391 GPM and represents the best value in drop-in replacement progressive cavity pumps and spare pc pump parts. The Liberty Millennium Series Heavy Duty PC Pump is ideal for high viscosity liquids and heavy waste solids and other abrasive pumping applications such Thickened Waste Activated Sludge Removal (TWAS) in water treatment facilities from 0 - 788 GPM. 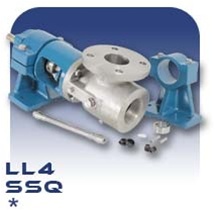 The American Progressive Cavity Wobble-Pump series from Liberty Process Equipment offers the best value available on the pump market for a progressive cavity pump for flows from 0 - 53 GPM and pressures up to 150 psi. The American APM Series Close-Coupled Progressive Cavity Wobble Pump from Liberty Process Equipment offers the best value available on the pump market for a progressive cavity pump for flows from 0 - 1.9 GPM and pressures up to 150 psi. The Justice Series Open Hopper Style Progressive Cavity Pumps represent an ideal pumping solution for viscous solutions and those with high solids contents such as sludges and slurrys, wine must, food waste, polymers, pulp and paper and other low flow-able pumping mediums.